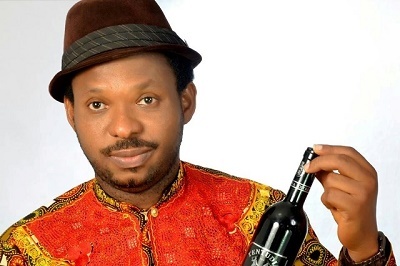 Popular singer, Alariwo of Africa, wormed his way into the hearts of Nigerians in the early 2000s with his hit song, ‘Yawa go Gas’. However, when the screens became awash with his latest songs, ‘Buy Naija to Grow the Naira’ and ‘Common Sense,’ where he featured Senator Ben Bruce, using his voice in the song, so many people felt the senator would have paid Alariwo so much money. But responding to this insinuation, Alariwo told Saturday Beats that he didn’t collect a dime from the senator. He also denied that Innoson Motors gave him a car since he also mentioned the millionaire businessman in his song. “I wonder why people would also say that. I wasn’t given any car by Innoson Motors. That is the truth. At the moment, I don’t have a car, my two cars when I and my wife and I were ill,” he said. And talking about his health, the musician who was diagnosed with Varicocele, an ailment that affects the scrotum, said he had undergone a surgery and he is in perfect health at the moment. “Varicocele is not a sexually transmitted disease. It is something that can happen to anybody, a male child can have the disease. I never knew about the disease till I had it and it has been treated. I have three lovely children and I don’t have plans to have more unless God says so but I am as active as any man on this earth. “I am very well now by God’s grace. I just got back from Chicago where I underwent an operation on my scrotum. There would never be a case of recurrence and there is no need for panic and fear. I went to one of the best hospitals in Chicago and I also serve a living God. The first surgery was done in Lagos’ then I travelled to America for the second operation and I have been told that I am absolutely okay,” the singer said. Alariwo also told Saturday Beats about the improvements on his wife’s health. The singer told Saturday Beats that he is forever grateful to some Nigerians for supporting him.